Founded in France by Dominique Mandonnaud in 1969 with the vision of creating an inclusive environment for shoppers to access both luxury and niche brands, Sephora has quickly developed a reputation as the beauty authority. Creating a model which embraced self-service, Mandonnaud developed a sophisticated offering showcasing the best of beauty, yet made it accessible for all. With a cutting-edge retail model that dramatically changed the way customers shopped, it was regarded as the beauty destination with its large open floor for customers to roam, touch and feel all products. 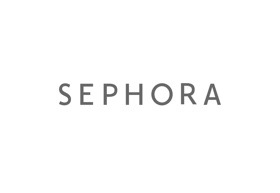 Highly regarded as a beauty trailblazer, Sephora’s unparalleled assortment of prestige products, dedication to newness and trends, unbiased service and interactive shopping environments have created a cult following.